I was lucky in a way, when I decided I wanted to learn to fly I had a great resource. I had my own live in former CFI (still with his license). So I had someone to throw my ideas off of and get his input. Although, he wasn’t quite supportive at first so I had to do my research and budget and get that support. Below are the steps I took to start my flight training and work towards achieving my dream. Hopefully, those at the start of their training or who are interested but never know how to go about it will have something to go off of now. You should know what you are about to get yourself into. If you don’t know much about flying or about getting your license or which license to get, read as much as possible. Learn that there are three options to start out with: Sport, Recreational, and Private licenses. Hardly anyone gets their license within the minimum amount of time. Can you get yourself a 3rd Class Medical? If not then think about Sport Pilot. What are you going to do with your flying? Lots of questions to ask yourself! What are the flight schools in your area? I live in NYC so it’s difficult to get to any airport so I looked at schools on Long Island and New Jersey. Like I said, most people don’t finish their license in the minimum requirements so budget for a longer time period. I wanted my flight training to be (relatively) cheap, so after all my research I picked 4 flight schools and did an excel sheet. I did all sort of outcomes, 40 hours, 50 hours or 60 hours of flight, and then different hours of instruction along with the flight hours. I also had to budget my train tickets and other incidentals along with training such as books, headset, etc. Those are things you shouldn’t forget because they definitely add to the cost! You now have some idea how much it will cost, now where is that money coming from? Do you already have it or do you need to earn it? Most people believe it’s best to have all the money saved up and be ready to go or close to that amount. I think it depends on the person, if in your job you’re making good money and have expendable income then you can probably start without all of it at first but if your job doesn’t give you that, like me, it’s better to have all the money ready. Are you sure you want to do this? Would that money be spent happily somewhere else? Like for a car or part of a down payment on a house? You also need to think about the time it will take, it’s a big commitment. If you have a job that requires a lot of time or a family, will you be able to work around those things? Is it a realistic choice to pursue flight training at this time? 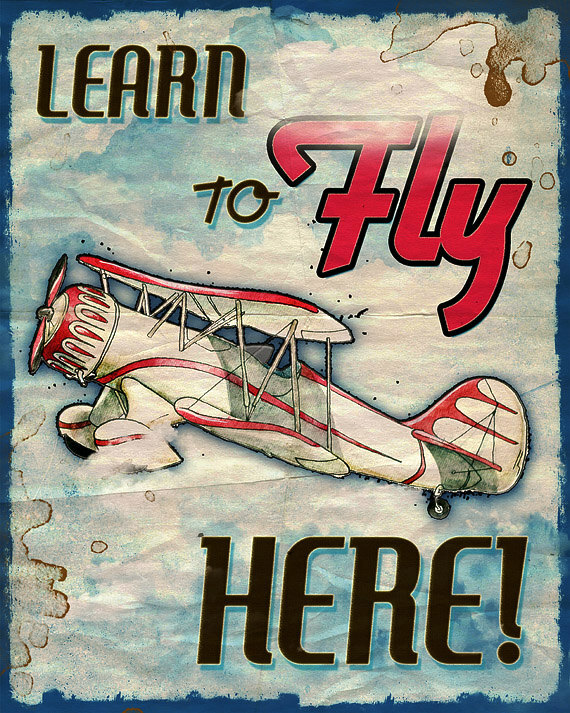 This is the first time you get to enjoy wanting to learn how to fly! Don’t worry about thinking into the future. Just enjoy the moment, you’ll have plenty of time to think on the ground. Alright, you took your discovery flight. What did you think? Were you scared at some point? Is flying actually for you? You’ve now experienced what you’ve been agonizing over for weeks probably, did it live up to what you expected? You’ve thought about it, done research, budgeted and actually flew so now it’s time if the answer is still yes: get to it! Call your flight school and schedule lessons with your instructor, or try a new one if you didn’t like the one you had on the discovery flight. This is the part where you’ll get frustrated by many other things getting in the way of “doing it” such a life, weather, broken airplanes, weather, family, and weather. There will be times in training at different points where you will be hard on yourself or be frustrated by the circumstances, but you have to persevere. No one said flight training would be easy, it’s quite the opposite for many reasons. If you don’t believe in yourself, it’ll be hard to stick it out, especially if you’re lacking other support systems in your training. Hopefully, your flight instructor is encouraging as well as your family and friends. They can give you a little kick now and then, but you have to believe in yourself first. Remember those things that will get in your way? Be understanding of that. I got frustrated early on when switching instructors and not being able to get on her schedule for 3 weeks. I was beyond frustrated because I just wanted to get back up in the air, but I had to realize that I wasn’t scheduling my lessons as far in advance as others. I learned an important lesson that day and even now I have trouble getting on her schedule sometimes, but I have to realize that a lot of people want to learn from her since she’s an amazing instructor so I have to get ahead of the curve. Not only does their schedule get in your way sometimes you have the added “bonus” of being frustrated by all 4 of your lessons in a week being cancelled due to weather. It happens, be understanding and you’ll get it done. After those 9 (not-so-simple) steps you’ll be well on your way to getting your pilot’s license! You’ll still have a lot of work to do but having such a well thought out start it’ll make much of the training process easier. Good luck! Fly safe!